Learning how to apply for and fill out grant applications is vital to getting your grant application approved by the government. The criteria may vary slightly from grant to grant, and individuals should carefully research what these requirements are, as missing even a minute detail could render your application incomplete. The one thing common to practically all grant applications, and the essential backbone of the application, is the letter of proposal. The proposal is a detailed letter expressing your desire for a grant, why you need it and the benefits it will bring you. While many applicants are deserving of financial aid, at the end of the day it is those that express this need best that receive the most funds. Learning how to write a grant proposal can be the difference between receiving a grant or not. Since it can sometime be tedious and frustrating trying to complete the granting process alone, individuals can use grant tutorial programs that give them step by step help through the process. 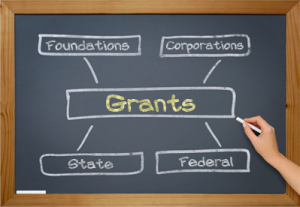 Grant writers persuade funders to part with their money. Lawyers argue eloquently on their clients’ behalf for favorable verdicts. Similarly, you write eloquently on your organization’s behalf for favorable funding decisions. Grant writers research potential funding sources to identify donors. According to the National Center For Charitable Statistics, more than 90,000 private foundations exist, and the U.S. federal government oversees 1,000 grant making programs. Evaluating enormous quantities of information is vital. Your effectiveness depends on cultivating relationships with grant makers. Working with grant administrators, in particular, is crucial. They are intimately involved in the grant application process and can influence the outcome of your proposal. If, for example, grant makers W.K. Kellogg Foundation and Bill & Melinda Gates Foundation were potential donors, you would need to develop relationships with the respective grant administrators. Grant makers set up criteria for submitting proposals. Failing to meet their criteria reflects poorly on your proposals. If a funding agency wants five years’ of financial records, but you only provide three years’ of records, you’ve jeopardized your proposal. The funding agency may accept corrections, but don’t count on it. Make your first impression your best impression by following instructions. What you do after receiving the funds matters as much as writing the grant itself. Properly thanking the grant maker, monitoring the funds and reporting program results are essential and pave the way for future proposals. In summary, grant writing is a challenging, rewarding profession. Your efforts empower your organization to fulfill its mission and influence many lives.